Weddings in the USA is big business. 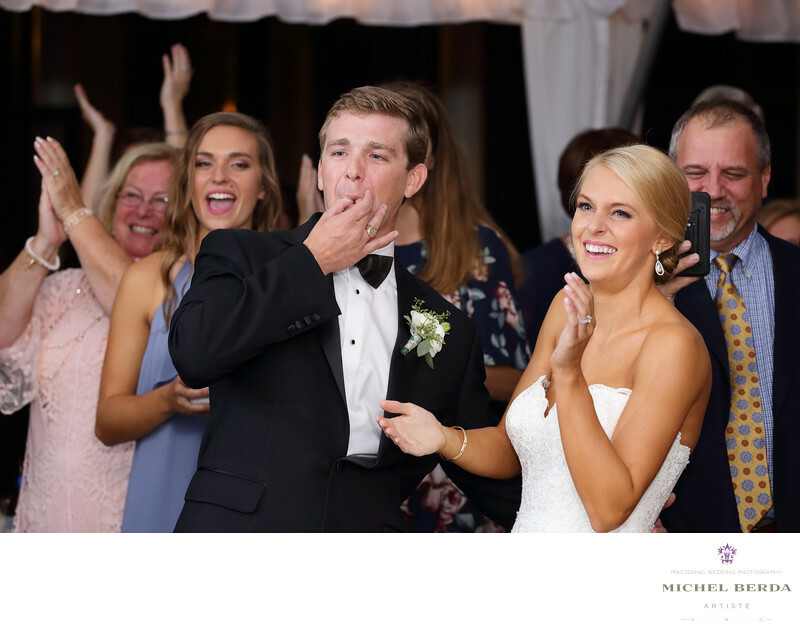 No wonder Charleston Wedding venues are booming with plenty of happy couples ready getting married here in the Lowcountry. Every year an average of 7000 couples get married in Charleston, South Carolina. Making this Holy City the #2 destination wedding in the southeast. I started my journey of being a wedding photographer here in Charleston, SC and I have loved every single minute of it...One of the greatest parts is the Charleston Wedding Venues, can you imagine being honored to capture a wedding and being in so many different wedding venues like Lowndes Grove Plantation, Creek Club At I'ON, William Aiken House, Charleston Harbor Resort & Marina, Magnolia Plantation, Merchants Hall, The Gibbes Museum of Art, The Mills House, Cannon Green, Boone Hall Plantation, The Sanctuary at Kiawah Island Golf Resort, The Cedar Room at the Cigar factory, Historic Rice Mill, The Dewberry, Gaillard Center, Hotel Bennet, The South Carolina Aquarium, Legare waring house founders hall, Brookgreen Gardens, Alhambra Hall, Middleton Place, White Point Gardens. Yes, this is just a few of them...The choices here are endless and has most wedding clients that come to Charleston, SC will tell everyone, the possibilities, and choices are plentiful, picking the ideal Charleston Wedding Venue can be overwhelming and challenging, making hiring a wedding coordinator that has many years if not decades in this industry can make this search more simplistic and narrow down the perfect Charleston Wedding Venues. Happy hunting and for your unique and magical wedding venue.Keywords: Alhambra Hall (6), Boone Hall Plantation (9), Brookgreen Gardens (6), Cannon Green (3), Charleston (1179), Charleston Harbor Resort & Marina (3), Creek Club At I'ON (3), Gaillard Center (6), Historic Rice Mill (3), Hotel Bennet (3), Legare waring house founders hall (3), Lowndes Grove Plantation (3), magnolia plantation (9), merchants hall (6), Michel Berda (1140), middleton place (6), photographer (1125), The Cedar Room at the Cigar factory (3), The Dewberry (3), The Gibbes Museum of Art (3), The Mills House (3), The Sanctuary at Kiawah Island Golf Resort (3), The South Carolina Aquarium (3), Wedding Photographer (1254), White Point Gardens. (3), William Aiken House (15).